The Tories are hoping for a welcome back in Basildon. Forty-four councils with more than 1,400 seats are holding elections in the Eastern region this time. The whole council is up for grabs in more than half of them. It sounds dramatic - and it might be. Labour is only defending eight but could be under pressure in some of its councils in Northamptonshire. The Liberal Democrats also defend seven but have high hopes, particularly in Essex. The Conservatives have the most to lose and some would say the most to win - they defend 16 councils and aim to add to their total. Another 14 councils are under no overall control. Significant changes might be seen in a few areas even though the overall number could stay roughly the same. The East was a Tory heartland and it is vital for the Conservatives that they make gains in the Eastern counties if they are to have any chance of staging a successful comeback on the national stage. There are 24 whole councils up this time, the majority of which are holding elections for the first time since 1999, when the Conservatives made something of a comeback here. The Conservatives will be eagerly watching these elections to see if those gains can be increased. Target Tory councils include Chelmsford, Colchester, Harlow, Tendring, King's Lynn and West Norfolk, Mid Suffolk and St Edmundsbury. 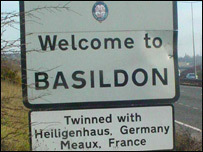 But top of the list is Basildon. 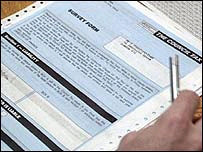 Council tax rises are an imponderable factor. They want to finish the job they started here last year; Basildon is poised for a Conservative win. In 2002 they missed out on the one seat that would have given them the council, by only six votes. But during the past year two Labour councillors have been expelled from the party, which let a minority Conservative administration take over. The Conservatives can smell victory this time. Colchester Council is also in their sights, though not for the first time. It remains to be seen whether they can make the final push and actually succeed in taking control this time. The Conservatives need five seats to take King's Lynn and West Norfolk, and only two to take back St Edmundsbury. It is a council they lost control of in May last year through a defection to Independent Conservative, and they are anxious to restore their administration. Also in Suffolk, Waveney council could provide rich pickings for the Conservatives. Labour lost it last year to no overall control. Now it is an evens chance that the Tories could take it this year - especially if the Greens field a full slate of candidates which could split the Labour vote. And Forest Heath is another council where the slightly unusual could make a difference - this time to the Conservatives' detriment. It looks like their long-standing control of the council is to be opposed by an organised Independent group who hope to take control themselves this time. Harlow is another finely-balanced council, which both the Tories and the Lib Dems have their eye on. Once it was the council with the highest charges in the country. It has been Labour for the past 30 years but last year it moved to no overall control. Both Conservatives and Lib Dems have 12 seats each. But this time only a third of seats are up for reselection and none are split wards, where parties oppose one another. Top target for the Lib Dems in Essex is Chelmsford, where the battle is on for control of the county town. They are running the minority administration and aiming to take outright control. Another council on which the Lib Dems have their sights in Essex is Uttlesford, near Saffron Walden. Although the party is the largest group, a Conservative Independent alliance is running it. The Lib Dems need three seats to remove it from no overall control. After making huge inroads locally last year, the Lib Dems have a lot to shout about in the eastern counties these days. They control the councils of both major cities, Cambridge and Norwich, and both have elections this time. Taking the council in Norwich last year was a spectacular win. Education Secretary and Norwich MP Charles Clarke vowed to have it back in Labour hands this year but that is not looking likely. They also look set to hang on to Milton Keynes which they won last year. The Lib Dems also hope to make gains in North Norfolk and Huntingdon. It would be a miraculous if Labour failed to retain its core councils like Luton, Corby and Stevenage and Ipswich, but it seems support is crumbling in some areas that traditionally have kept the red flag flying. The whole council is up for re-selection in Northampton. It is Labour now but the party is not confident of retaining control. 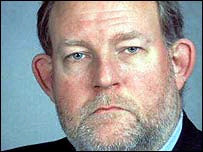 Charles Clarke vowed that Labour would seize Norwich back. Labour is also looking vulnerable in a couple of other councils nearby like Wellingborough. They are also under pressure in Kettering where seven or eight wards are marginal and it could slip to NOC. At best Labour will be hoping to keep losses to a minimum. The party is resigned to losing councils like Basildon but hopes not to lose its grip on a number of other councils, particularly in the west of the region. The war in Iraq is an imponderable factor in the Labour vote. By the time of the polls on 1 May, Labour will be hoping that something akin to the Falklands factor could play a part. At present, with the party riven by pro and anti-war factions, it is difficult to see the government's position on the war delivering them votes. The council tax is another imponderable. The regional high is in Suffolk, at 18.4%, but many other areas here are also facing big rises. The question is who people will blame - the councils that levy the tax, many of them Tory; or the Labour government that has changed the funding formula.